Will City get their hands on this? 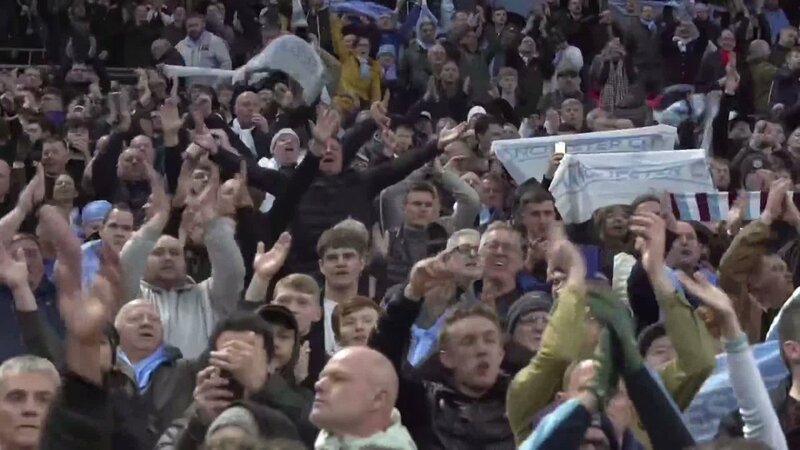 Manchester City booked their place in the FA Cup final yesterday with a less than spectacular 1-0 win over Brighton, taking them one step closer to achieving something that no English side has ever achieved, winning all four major trophies in one season. Pep Guardiola is still keen to suggest that the quadruple is ‘impossible’ but the simply fact is this, his side are twelve games away from achieving it, and they don’t even need to win all of them! Below we look at City’s potential run-in and who they would have to beat to achieve this incredible feat. Man City are in a title tussle with an impressive Liverpool side who have exceeded expectations this season. The Reds currently hold a two point lead over their title rivals but as City have a game in hand, the destination of the Premier League trophy is in their hands. Win their remaining six games and no matter what Jurgen Klopp’s men do, City will retain the title, something we haven’t seen done for a decade. Let’s take a look at who they have left to face. The two consecutive fixtures against fellow members of the ‘big six’ instantly stand out with Tottenham and Manchester United likely to cause the most problems for Pep Guardiola’s side. Mauricio Pochettino and Pep will be seeing a lot of each other over the next two weeks as three of their next four fixtures are against each other, with the league game coming just three days after the Champions League quarter-final. You would expect City to dispose of the other four teams with relative ease but the big talking point will come in the Manchester derby. United, with their recent poor form, now face a tough ask to reach the top four and will need to fight for every point. However, most United fans would rather City won the league than Liverpool, but surely their own Champions League qualification must take priority. Ignoring all the possible permutations, The Red Devils are simply a level below City at the current moment and this City team should beat them with relative ease. 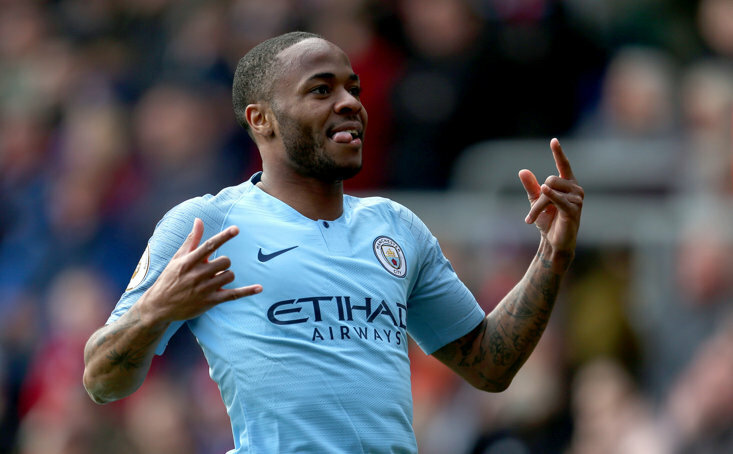 Troublesome Tottenham will be the biggest test for City on their quest for Premier League glory and three close fixtures will be difficult for both sides to deal with but I honestly believe both Manchester City and Liverpool will win all of their remaining Premier League fixtures. It will be an exciting finale right down to the final day, but City will edge it. One game to go to win the FA Cup. It has been an easy route to the final for City having played the likes of Rotherham, Newport and Swansea in the knockout rounds. Brighton was the first Premier League side they faced and after edging past them yesterday, they are now one game away from winning both domestic cups. They will face another Premier League side in the final as Watford and Wolves do battle at Wembley. If you gave Pep Guardiola the choice, he would prefer to play Watford than Wolves in the final. City have beaten Watford home and away in the league this season whilst against Nuno Espirito Santo’s side they have found things more difficult. They edged past them on penalties in the third round of the League Cup after a 0-0 draw at the Etihad, draw 1-1 with them back in August at Molineux, before finally beating them at home in the league, although an early Willy Boly red card spoilt Wolves’ tactical plan. We have seen multiple times this season that Wolves play better against the top six teams. They beat Man Utd in the league and FA Cup, beat Tottenham away and Chelsea at home, whilst getting creditable points at the Etihad, Stamford Bridge and the Emirates. That would make for a corking final but City would still fancy their chances in a one-off game. Meanwhile, if Watford get past Wolves, the trophy is surely coming back to Manchester. 😀 | @ManCity fans celebrate reaching Pep's first-ever #EmiratesFACup Final! The elusive Champions League. Surely the toughest of the lot. Many people can envisage a domestic treble for City but find the Champions League is always thought to be a step too far. Let’s take a look at their potential route to the big-eared trophy. City will have to do things the hard way if they are going to win this prestigious competition. They are travelling to Tottenham’s new stadium for the first leg in what is sure to be an incredible occasion before the second leg at the Etihad. Over two legs, even with the new stadium hype, you would think Pep’s side will have too much for Spurs, but they did fall at this stage last season to another English side, Liverpool. 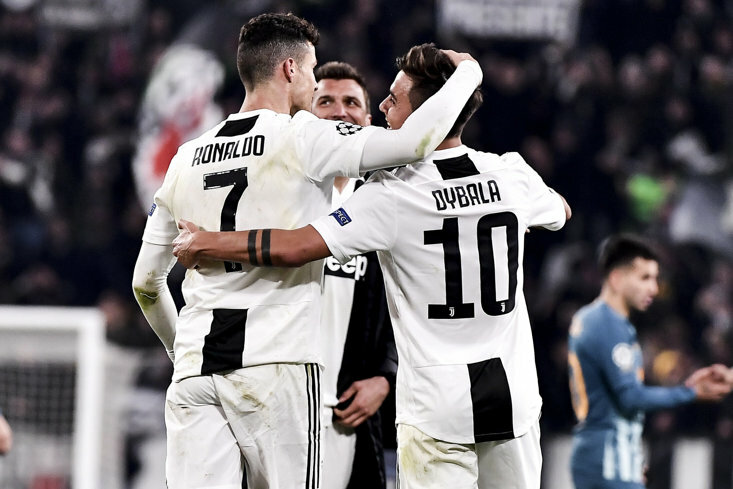 Cristiano Ronaldo’s Juventus will surely progress over Ajax to the semi’s setting up a huge clash with City. Ronaldo loves this competition and as we saw with his hat-trick against Atletico Madrid, always turns up for the big occasions. City would have to be at their very best to beat him and his Juve side. But remember, City do not have to win every single game in this competition. They can afford a draw or two and qualify on away goals, it is all about progress. In the other half of the draw, you would think Man Utd, Liverpool and Barcelona would be battling it out for a place in the final. A Liverpool v Man City final would be epic given that the last all-English final was in 2008, and the fact they have tussled for Premier League title all year long. Alternatively, Pep Guardiola could come up against his former side and Lionel Messi in the showpiece event. Barcelona are looking good this season but they need to beat Man Utd to make it to the semi-finals. Ole Gunnar Solskjaer can conjure up some more Nou Camp magic, United could set up a Manchester derby in the Champions League final. City have what it takes to beat any side in Europe but as we saw last season at Anfield, they can be overwhelmed by the pressure this competition brings. We should get some mouthwatering games but City really can win this whole thing. This will certainly be the toughest of the lot but if they pull this off, this City side will go down in history as one of the best English teams ever. Can they win four trophies this season?